If you have a release you'd like included here please contact me for further details. The PayPal link at tanignak.com is the only payment available so far. If you would prefer to wait until I post this album on Amazon, it should take a week or two for the bar code registry, etc. (but will have a higher price on Amazon to offset their "cut"). Preview copies are available to interested media outlets, and wholesale pricing applies to quantities of 5 or more. I ship worldwide. 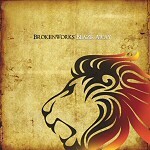 ORDER THE NEW CD "BLAZE AWAY" BY BROKENWORKS! 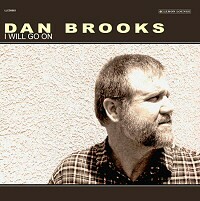 New release by Dan Brooks, guitarist/singer/songwriter who performed as a Contemporary Christian Music artist in the Southern California/Orange Co. area during the 70's at venues such as Calvary Chapel, Costa Mesa and Lakewood First Baptist Church. He continues to write and record out in the Riverside/Moreno Valley area, where he resides with his family. This album is available if you contact dan at: danstune@msn.com CD's are $12 including shipping and handling. To hear clips visit: www.myspace.com/danryanbrooksmusic Click on "Dan Brooks" to hear samples from the album. "Love Is Born" by Wendy Fremin (formerly of Children of the Day). "My friends and I just released a Christmas CD called "Love is Born" by Wendy Fremin and the Love is Born Team. It is available at the Calvary Chapel Costa Mesa Chapel Store and also at the Calvary Chapel Murrieta Bookstore, in California. It was absolutely great to get back into the studio and we felt God's leading and blessing the whole way. If anyone has questions about this please contact me at wendyfremin@yahoo.com. "Let The Music Move Me" by Stephen Alexandersen is now available on Reborn Records. The complete original album on CD with 3 brand new songs added. Encyclopedia of Contemporary Christian Music by Mark Powell - Finally! Mark Powell has written an excellent and massive book of everything you've always wanted to know about artists from the early Jesus music days to today. Includes artists' websites and album reviews. 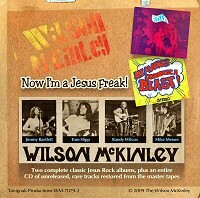 A must have for any Jesus music lover. This will take you months to read!! New CD reissues - Larry Norman's "Upon This Rock" and Randy Stonehill's classic "Welcome To Paradise"
John Fischer book - "Fearless Faith: Living Beyond the Walls of Safe Christianity"
The Misfit - Erick Nelson & Michele Pillar (CD) - Reissue of this 1979 classic. Christmas carols and originals done "Chuck style"
Nine old favorites, plus a new Christmas song written and performed by David Edwards and Randy Stonehill, plus Miriam, by Pierce Pettis.